It’s been about six months that we’ve been listening –constantly, consistently, contentedly – to the most recent album by Psychic Ills, “One Track Mind.” And for all the time we’ve spent with this album – the long drives for which the album has served as the score, the early mornings we’ve put the album on in a half-conscious state, the late nights where we’ve done the same – you’d think we’d have developed something coherent to express, some way to summarize just what it is about the songs on “One Track Mind” that have us returning, over and over, again and again. What else can really be said? We connect to this music instantly, deeply, and without any possible – or any necessary – complete explanation. 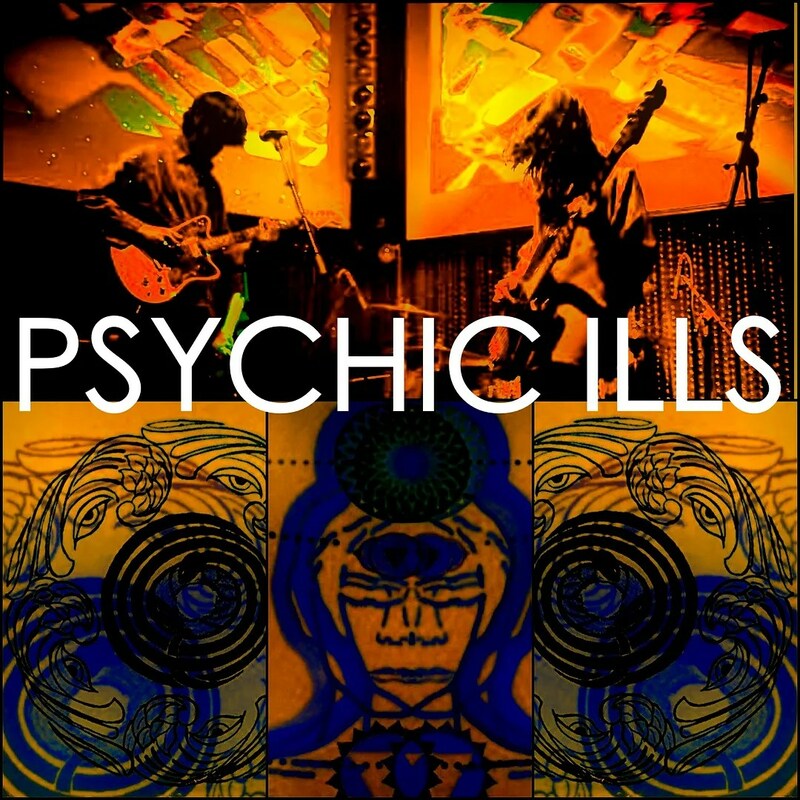 Despite using the same tools that many other bands use (guitars, drums, keys and a voice that’s just slightly less hypnotic than it is becoming hypnotized), Psychic Ills don’t really sound like anyone else. In fact, some might argue that, from album to album, Psychic Ills sometimes don’t sound like Psychic Ills. We’d typically salute such a compellingly chameleon-esque approach, though in this case, it’s not clear it applies. Going back through the fractured fractals of time and listening to songs from the band’s 2010 EP, “Astral Occurrence,” the wavelengths are easily identified as originating from the same source – this is indeed the same band. But where the band was previously focused on easy journeys to other planets (and may indeed one day again focus on the astral approach), “One Track Mind” sees the band living up to the focus of the mantra-like album title – look at the mind, look at the mind, look at the mind. Then again, it’s probably not even accurate to describe “One Track Mind” as inward facing. More accurately, it’s the sound of a band that’s absolutely present. On “See You There” – when the floating volume swells of guitar glide like giant, black triangular UFO’s over a patient, persistent bass line – we hear a band that has developed an equilibrium, a calmness. And it’s a calmness in its most expansive form, a stillness like that which exists in the eye of a hurricane. This isn’t a docile calm. There’s more than a trace of venom, of resentment, of disengagement born by endless suffering in the words and sounds of “One Track Mind.” “Depot” – a low, perpetually rumbling earthquake of a song – gives us the declaration, “Whatever you’re selling, I ain’t buying – I know that my mind is fine.” The way the words linger in the air, it’s hard to say if it’s a voice that is defiant, or a voice that is defeated. It’s even more difficult to ascertain whether it makes any difference. Take a walk outside, clear your head. Listen to “One Track Mind.” You’ll get by – even when the day is long. That’s all we know right now. Psychic Ills’ “One Track Mind” is available from Sacred Bones Records. Revisit our 2012 interview with Psychic Ills.